DHA Karachi has not only regulated administration but is also an assiduously designed project of the city. The project was established back in March 1953, when a group of retired officers from the Army initiated this housing project with the name of ‘Defense Officers Housing Society’. However, following the presidential orders, the project was taken over by the government later in the year 1981. The government transferred the administration of the project to Corps Commander, Karachi. The municipal association was formed with the Clifton Cantonment Board (CBC). 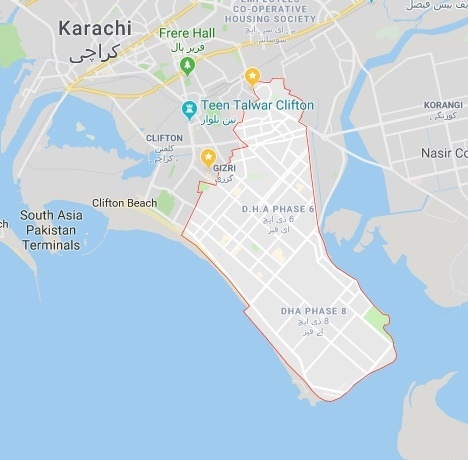 CBC is an autonomous civic body, encircles the eight phases of DHA, Clifton block 8 and 9, and outskirts. The CBC is in charge of maintaining streets, public parks, decoration of roadsides, ensuring sufficient water supply, ensuring public safety, conducting a census, and implementing good sanitation executions. DHA Karachi has been stretched out to around 8,838 acres of land. Defense Housing Authority has been widely regarded as one of the most prestigious and urbanized housing societies of the city. The front part of DHA has the seashore comprising of beautiful beaches. The eight phases of DHA offers its residents a unique, high-quality lifestyle. Investors are usually inclined towards investing in DHA. The core reason behind this interest is the quality DHA is providing towards a luxurious lifestyle, advanced infrastructure, neat and clean network of roads, top-class recreational facilities, green belts, modernized health facilities. People invest in houses in DHA, Karachi because the community has taken into consideration all aspects of a luxurious lifestyle. Due to the modern infrastructure, a clean network of roads, green belts, best recreational amenities, high-quality medical facilities, world-class clubs, and the city’s some of the best educational institutions. By the passage of time, DHA has also become a hub for business and commercial activities in the city. Public buses: W30, X10, X8, W21, Z2, Aiwan Coach and Gulistan Coach. Lahore Grammar School is in Khayaban-e-Roomi. The Space Institute are various other reputable schools in DHA. A. Shaikh Khalifa Bin Zayed College. Defence Central Library to compliment universities. There as a dedicated area in each phase of DHA for commercial activities. Here is the listing of commercial areas according to their respective phases. Phase 2 – Commercial Area A and Sunset Boulevard Commercial Area. Phase 4 – Sunset Commercial Area and 9th & 10th Commercial Street. Phase 5 – Badar Commercial Area, Stadium Commercial Area, Tauheed Commercial Area and Zamzama Commercial Area. Phase 7 – Sehar Commercial Area and Jami Commercial Area. Phase 8 – Zulfiqar & Al Murtaza Commercial Area and Peninsula Commercial Area. There are various options available in DHA for commercial purposes such as shops, offices, and buildings. Sizes for commercial plots range from 5 marlas to 1 Kanal. Having a suitable environment for business, DHA is one of the major destinations for many companies, looking for rental options in the city. One can easily find furnished shops and offices on rent in DHA. There are a number of cigar lounges and several sheesha bars are also available in DHA. Residents of DHA enjoy the convenient access to Clifton Beach which is more commonly known as Sea View. It is situated around 15 minutes away. It comprises of various entertainment features. People walk alongside seashore and enjoys a cool breeze. There are a number of popular attractions near DHA. 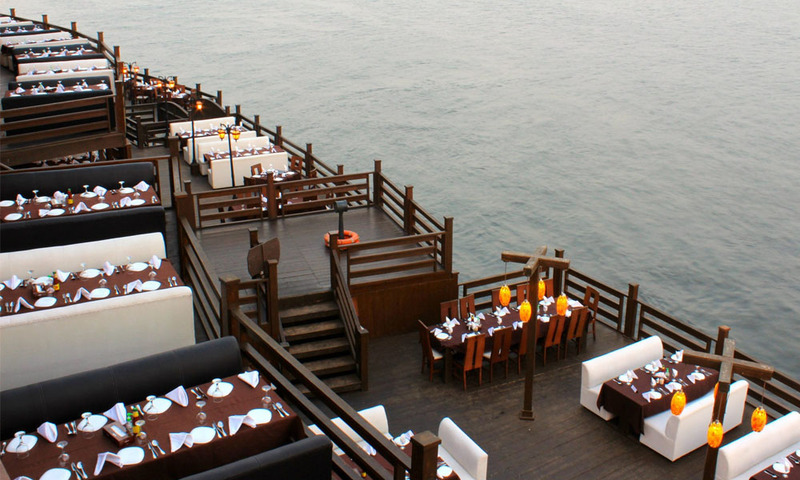 If you want to have memorable dining out with your loved ones, Savors Restaurant offers exquisite dinner on a romanticly decorated boat. If you’re a rider and want to test your skills, Devil’s point Clifton is the place where guys test their racing skills. However, we firmly discourage any stunt, racing or every other action that poses a threat to human life and performed without taking safety precautions prior. You can also reach historical spots of the city from DHA such as Mohatta Palace. You will have to take W30 bus or Super Hasan Zai Coach to reach there. Mohatta Palace was once the residence of the mother of the nation, Fatima Jinnah. It is now a museum, situated in Clifton. Timings to visit are 11:00 AM – 6:00 PM from Tuesday to Sunday.